PrettyKrafts presents a unique and ergonomically designed shirt stacker - a must have accessory for all the organized busy bees out there. This contemporary closet organizer keeps your ironed shirts and clothes - all well organized and stacked, preventing them from any kind of wrinkles. Black and red in color, it has polka dots print, making it visually appealing and smart. It has slanting shape that makes it more fitting and apposite. Fabricated in non-woven material, this wardrobe organizer is a long term and an economic investment. This clothing organizer is foldable in nature and hence could be collapsed when not in use. So get one now and be organized and give your clothing a wonderful, well arranged experience. PrettyKrafts is a leading name in this competitive market. We are dedicated to providing a wide range of best quality and world class products to all our potential customers. For us, quality and customer satisfaction is the topmost priority. PrettyKrafts presents a unique and ergonomically designed shirt stacker - a must have accessory for all the organized busy bees out there. This contemporary closet organizer keeps your ironed shirts and clothes - all well organized and stacked, preventing them from any kind of wrinkles. Black and blue in color, it has polka dots print, making it visually appealing and smart. It has slanting shape that makes it more fitting and apposite. Fabricated in non-woven material, this wardrobe organizer is a long term and an economic investment. 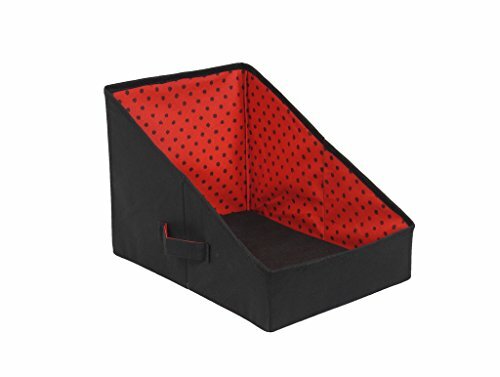 This clothing organizer is foldable in nature and hence could be collapsed when not in use. 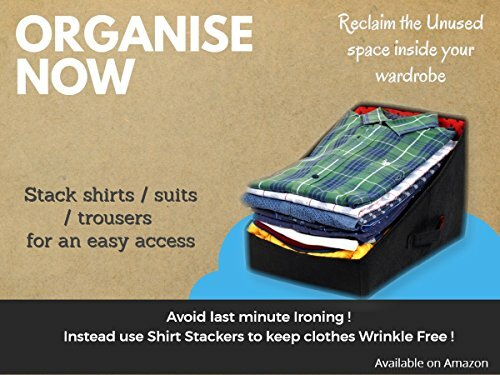 So get one now and be organized and give your clothing a wonderful, well arranged experience. 10 Pouches for keeping your Jewellery safe and for best storage comes with one box. It's a best option to use while travelling and it will help you to keep your heavy jewelary in a separate cover from other items in your luggage. Hand made cover from Cotton cloth. Long life High quality jewelery kit for organizing your costly and favorite jewelary. Four separate compartments for individual protection of each item. 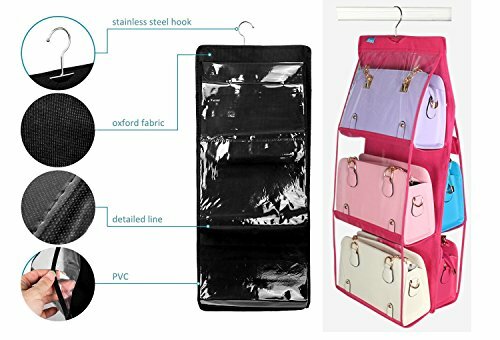 beautifully arrange all your underwear, bras, socks, scarves, ties, and small personal items with house of quirkâ set of 4 foldable drawer dividers! these creatively designed bins will always keep your undergarments, socks, accessories, and small personal items conveniently organized. All you have to do is open up the collapsible bins, mix and match wherever you need extra storage, and then organize all your small personal items to your preference. The multi-sectional design makes this storage box a perfect space saver for your home! 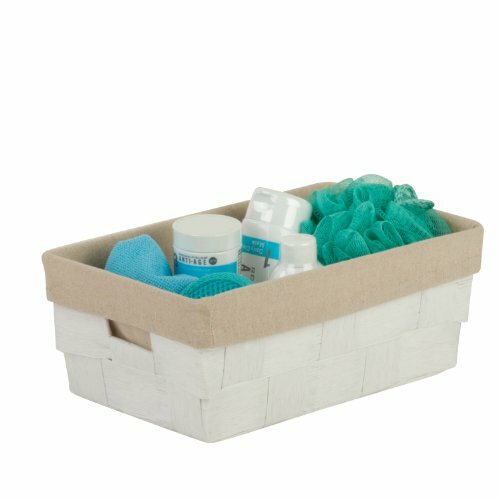 now all your delicates, accessories, and more are arranged and easily accessible at all times! it is a must have for every household alike, and will make a great gift idea. Theses bins are ideal for drawers, dressers, and closets. They are collapsible and can be easily cleaned with a damp cloth for years of use. 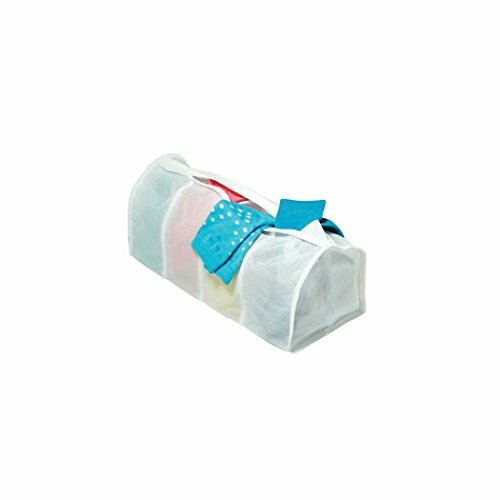 These bins are made of mold-free, moisture-proof non-woven fabric for excellent permeability and long lasting appeal! the sleek and practical storage bins accent any space and make storage look stylish. We all know that space is at a premium these days and organization is key; that is why these bins couldn't be more perfect for organizing all your personal items! package includes6 section divider - 13. 18"x6. 10"x3. 54"7 section divider - 13. 18"x12. 20"x3. 54"8 section divider - 11. 02"x5. 70"x3. 93"24 section divider - 13. 18"x12. 20"x3. 54"
With a coat hanger it becomes a great inexpensive storage, Keep your handbag tidy and clean, also a perfect solution to save your space. 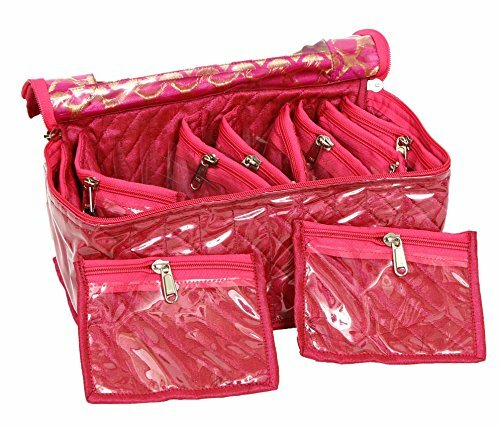 Gain extra storage with this handbag organizer with 10 compartments to fits up to approx 8 x 14" purses. This organizer only takes 35cm of space beside the wardrobe and with 90cm in Height, well fit with your handbag. ABSORBIA Classic Season pack for your convenience and savings. 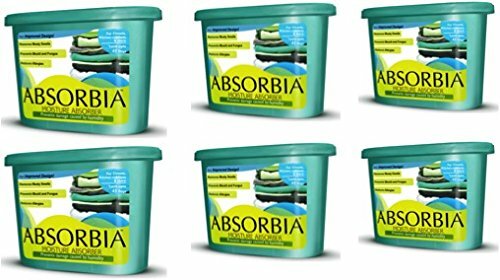 Season pack consists of 6 pcs of ABSORBIA classic at the price of 5 pcs Absorbia Classic Box has been especially designed to conveniently fit in to corners.Entirely spill proof, this box can be used in toy chests, bed boxes, kitchen and shoe cabinets and other storage spaces to protect clothes, food, towels, linen, shoes and books from harmful mould, fungus and musty smells. To Use: Simply remove the aluminium foil cover, leaving the white filter below intact. Place the box as desired, and rest easy. Use one box per closet or cabinet. Lasts up to 60 days depending on humidity conditions Spill Proof. Fragrance free.